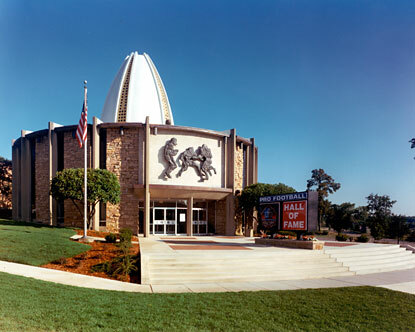 The Pro Football Hall of Fame represents the highest level of personal achievement a player can reach. Fans can submit votes for the 2015 class online here. You can select up to five players, plus the Senior Nominee. Below is whom I voted for, and why. Mick Tingelhoff (Senior Nominee). Mick started at center for the Minnesota Vikings as a rookie in 1962. He played every single game for the Vikings through 1978. 240 consecutive games, plus playoffs and Super Bowls. An epic career. Really one of those guys who should have been in the Hall years ago. You can read Mick’s story in The Game Before the Money: Voices of the Men Who Built the NFL, available from Amazon here. Tim Brown. Brown didn’t lead the NFL in many receiving categories, leading in receptions only one season. Still, he had nine consecutive seasons with at least 1,000 receiving yards. The tenth year of that stretch he had over 900. Also an exceptional punt and kick returner, he led the NFL for a season in each category. As a fan, I always regarded Brown as one of the most potent threats in the league for a long time. His induction is also overdue. Don Coryell. An iconic coach. He unleashed offense like never before, making winners out of the lowly St. Louis Cardinals and San Diego Chargers. Dan Fouts made the Hall of Fame quarterbacking his offense. Louie Kelcher described Coryell as a player’s coach in The Game before the Money. While he didn’t make a Super Bowl, he took NFL offenses to the next level. Charles Haley. Five Super Bowl rings. Although Bob Skoronski also won five championships and likely won’t (unfortunately) earn Hall honors as a lineman, Haley was a pronounced force on the defenses he played on. It’s no coincidence in this fan’s opinion that power in the NFC shifted from the 49ers to the Cowboys when Haley switched sides. He wasn’t quite the caliber of Reggie White, Lawrence Taylor, or Bruce Smith as far as impacting games as a defensive player, but he was close. Certainly heads and shoulders above the majority of his peers. Will Shields. Offensive linemen get the least amount of recognition with fans. You can’t argue with 12 Pro Bowl selections, however. Most players in the Hall have fewer, some nearly half as much. He and Tingelhoff are the most deserving members of this potential class, in my opinion. Junior Seau. Very close call between him and John Lynch for my final vote. I just gave the nod to Junior just because I remember him affecting the outcomes of games more than Lynch. Both were one of the top players at their positions for a long time, and both deserve induction. Kurt Warner. Warner is unquestionably a Hall of Famer in my opinion. Is he a first-ballot HOFer? Not so much. He took traditional losers to Super Bowls, but I didn’t think of him as one of the absolute best quarterbacks of his time like I thought of Brett Favre, Peyton Manning, and Tom Brady. I’m a huge Warner fan, but I’m waiting until next year. Terrell Davis. A lot of great arguments for his induction, but I just don’t think he played long enough to warrant it. For whatever reason, my mind puts him at the exact same level as Billy Sims. A back who dominated the league for a short period of time. Bo Jackson is another guy that would certainly belong in the Hall had his career been longer. Tony Dungy. Not really ready to include him yet. I would put Tom Flores in there first. Coryell. Dan Reeves. Marv Levy. Dungy’s a great man and an excellent coach, but I personally thought many of his teams underachieved in the playoffs. Maybe that’s not on him, but again, I think a few guys need to go in before him. the 1962 NFL Championship chronicled here, and the legendary Ice Bowl (1967 NFL Championship). Al Wistert. A perennially All-Pro on both offense AND defense. He anchored an Eagle defense that still owns the distinction of being the only team to shut out their opponents back-to-back times in the NFL Championship. Ken Stabler. Really a head scratcher why he’s not in. One of the most recognizable players of the 1970s, and one of the guys who made the NFL what it was back then. He has great stats to back up his induction, plus a Super Bowl and regular trips to the playoffs in a time when the AFC sported the dominant Steelers and Dolphins. The Raiders were always in that mix. I like Ray Guy, but it’s very interesting to me how they put him in the Hall before Stabler. And for that matter, Cliff Branch. A few more I’d like to see get in include, L.C. Greenwood, Harvey Martin, and a pair of Bronco linebackers, Randy Gradishar and Karl Mecklenburg. Mecklenburg’s been a semi-finalist the last few years, so perhaps his time is coming. Who would you put into the Hall of Fame?